KOEI TECMO America and Team NINJA are excited to announce the DEAD OR ALIVE 6 World Championship, a global esports competition with qualifiers to be held across the United States, Europe, and Asia. The competition will then conclude with the top players from each region duking it out live at the finals in Japan for the equivalent of 10 million yen (JPY) in total cash and prizes. The global series of tournaments kicks off April 20, 2019 in Lyon, France at THE MIXUP. The series continues throughout the year as players compete to earn one of 16 total spots to the DEAD OR ALIVE 6 World Championship Finals; and for their shot to be crowned the DEAD OR ALIVE 6 Grand Champion. By competing in the DOA6WC, players will earn ranking points based on their tournament performance, allowing them to be ranked on the official DOA6WCleaderboard. The more ranking points a player accumulates, the higher on the leaderboard they will climb. At the end of the tournament circuit, 16 fighters will advance to the finals. There will be 11 placements from the three regional leaderboards; with the top five from the U.S., top three from Asia, and top three from Europe advancing to the finals. Of the five remaining qualifying spots, three will be granted to the winners of offline Fatal Match events, while the final two spots will be up for grabs at the DOA6WC Last Chance Qualifier – hosted at the DEAD OR ALIVE Festival 2019. Key tournament stops in the United States include the CEO 2019 Fighting Game Championships in Florida (June 28-30, 2019), Summer Jam 13 in Philadelphia (August 30 through September 1, 2019), Kumite in Texas 2019 (September 13-15, 2019), and The East Coast Throwdown in New Jersey (October 18-20, 2019). 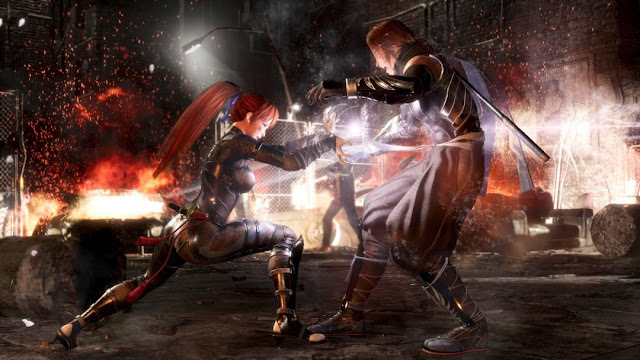 For more information on the DEAD OR ALIVE 6 World Championship, including a complete schedule and list of rules, please visit the official website at https://www.teamninja-studio.com/doa6/us/wc.